This speaker delivers subwoofer bass and reference quality midrange at the same time. The ES-06+ is an amazing work of art in speaker design. The dome and cone vibrations are combined with rare precision to get synergetic results. Most subwoofers have a midrange performance that can color the sound even considering the low crossovers often used. 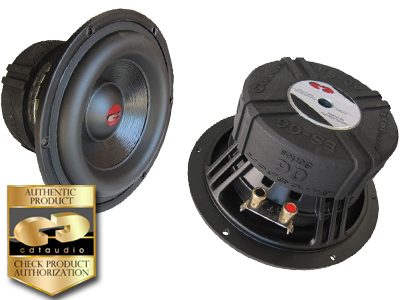 The ES-06+ can be used as a small pure sub or as a mid/woofer with top results. The trade off is that the sensitivity must be slightly lower as is characteristic of subwoofers in general due to the heavy construction of the moving parts that simply take more power to move and which can also move further.